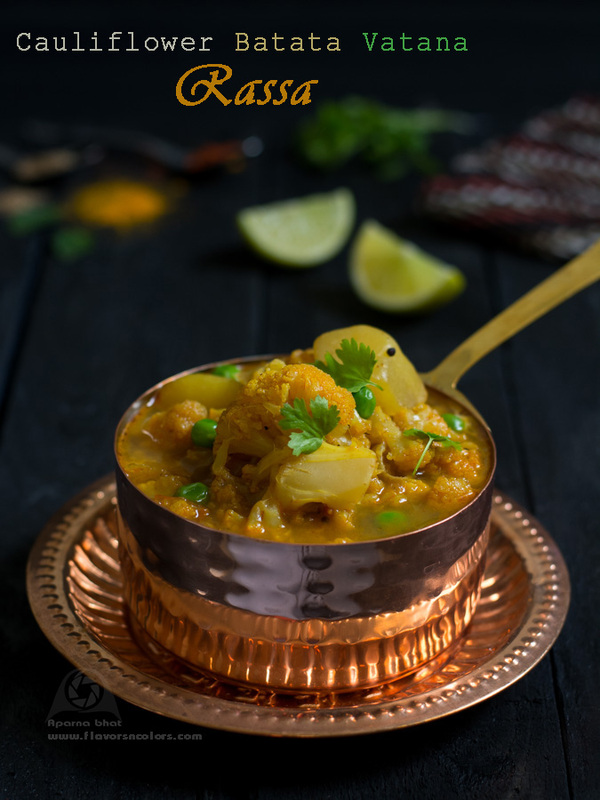 Rassa is a popular gravy dish from state of Maharashtra. 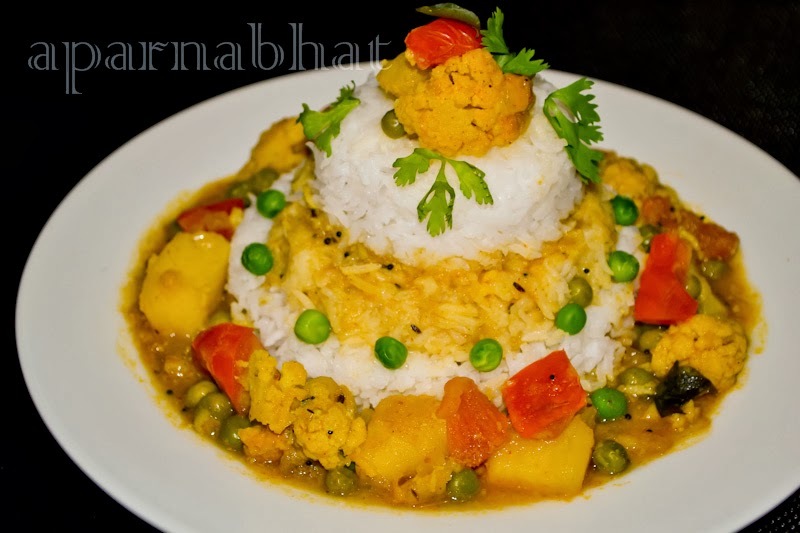 Many of you must have heard about this dish prepared from non-veg. Me being vegetarian, I prepare this gravy using vegetables. 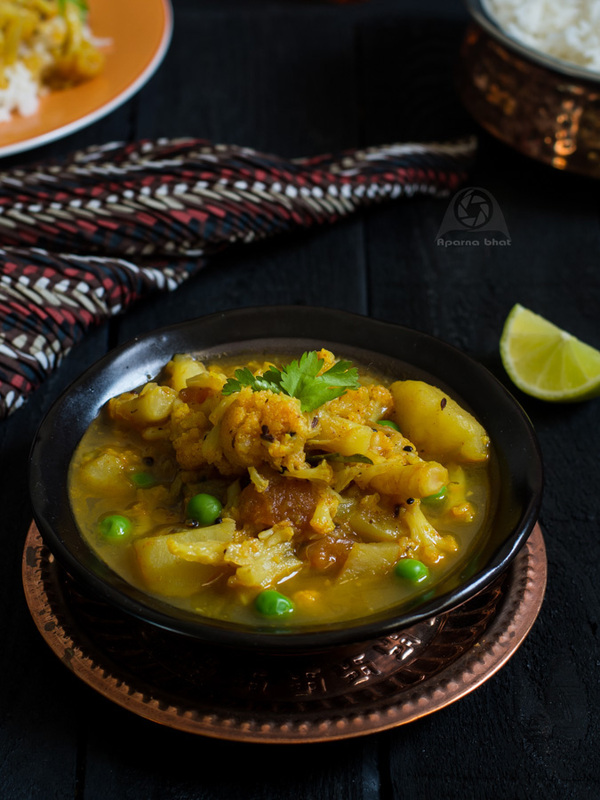 Veggies such as cauliflower, potato, tomatoes, green peas are cooked using special spice powder "goda masala". Heat oil in a pan. Add mustard seeds and allow it to splutter, Then add cumin seeds, cinnamon, cloves and saute for few seconds . Add curry leaves, ginger garlic paste, onion and saute them till onions turn light pink. Add chopped tomatoes, stir them until they soften, add red chilli powder, coriander powder, haldi, goda masala/garam masala. Stir it nicely on low flame until the oil separates from the mixture. Add the potato cubes and saute. Add cauliflower florets and stir them well enough to get coated with spices. Add green peas [optional], about 1 cup of water and salt. Cover the pan and allow it to cook on medium heat until the florets as well as potatoes are done. Adjust the water depending on the consistency you prefer for this dish. Finally add jaggery/sugar and lemon juice. Switch off the flame. Garnish with coriander leaves. 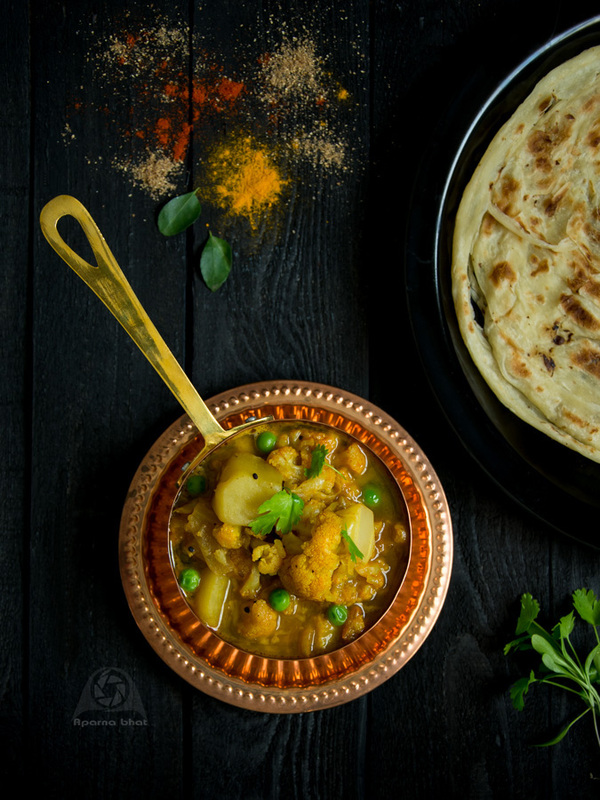 Serve this dish with hot rice/ phulkas/puris or parathas. Note: If you feel that gravy has turned too watery try adding roasted peanut powder. You can also add fresh grated coconut along with coriander leaves in the gravy.